FOR A GREAT US TOUR. WE APPRECIATE YOU. !! Yeah, she sure demonstrated authenticity from the very beginning to the very end!!! It's been wonderful reading all the reports and the responses from the various people who attended the performances. 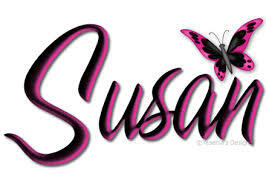 It's clear Susan gave of her very best and that was magnificent according to all reports. I'm sure the Americans are looking forward to the next tour. Yes, thank you so much, Susan.